Visitation will follow the memorial service. Elizabeth “Liz” Bristol, age 79, passed away, Monday July 16, 2018. She was born in Mars Hill, Maine and moved to Royal Oak, Michigan, where she grew up. Liz met her late husband John at Royal Oak Baptist Church and they were married for 42 years. Mrs. Bristol was a longtime resident of Holland. Together John and Liz had 3 sons, Curtis, Kenneth and Robert. Liz was employed by the Ottawa Area Intermediate School District for over 20 years. 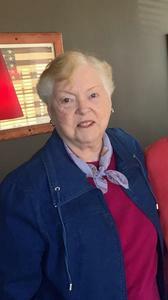 She was an active and longtime member of First Presbyterian Church in Holland. Mrs. Bristol loved to watch her children and grandchildren play sports. She was preceded in death by her loving husband John in 2001. Elizabeth is survived by her cherished sons and dear grandchildren, Curtis (Kristin) Bristol, Nathan, Paige, of Iron River, Michigan, Kenneth (Sarah) Bristol, Mackenzie, Nicholas, of Waukesha, WI, Robert (Stacy) Bristol, Davis, of Holland. A memorial service will be held 2:00p.m., Friday July 20, at First Presbyterian Church, 659 State Street, Holland. Visitation will follow the service with light refreshments and deserts. Rev. Linda Knieriemen officiating. Professional services entrusted to the Dykstra Funeral Home – Northwood Chapel.